The Lost & Found Collection is essentially the new home for episodes that were forced to leave their old homes when one of their roommates expired. There's nothing new to see here, the content remains the same. But we have a cool new cover, don't we? And the episodes included here get to stay in print. That's worth celebrating! 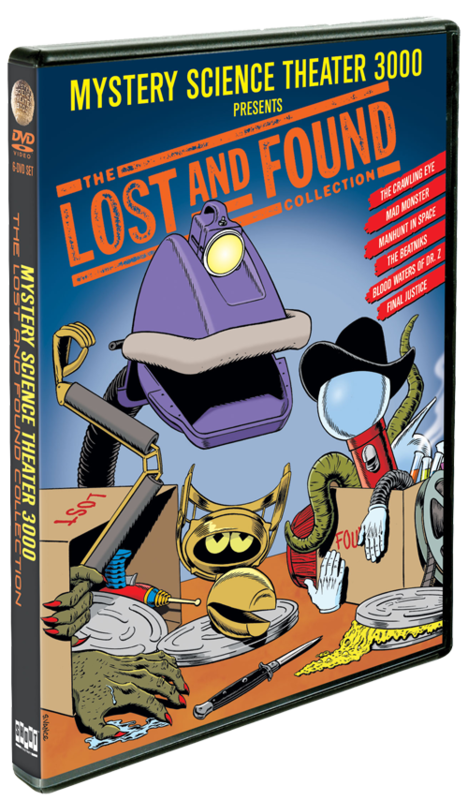 It's out on September 25th, but order from the MST3K Store and get it shipped two weeks early! And The Same Much More!